In the Backyard photo the Carcano seems to hava a front strapholder that is un the underside of the the rifle, just as it is in the Kleins mailcatalogue, also the length is 36" ? I´m sure some of the serius researchers have looked at this, do you know of any links where I can checked it by myself, as I found out that many "researchers" just say anything that just doesn´t add up, evidence does not support their "research". While the Klein's ad was for a 36" carbine model of the M91 Carcano long rifle, and the rifle in the backyard photos is clearly either an M38 Carcano short rifle (7.35x51mm) or an M91/38 Carcano short rifle (6.5x52mm), the photo in the ad is of neither a carbine or a short rifle. The rifle in the ad is a "Suprema". It began its life as an M91 Carcano long rifle. After the war, these were imported in great numbers into North America where they were sporterized for the shooting public. The barrel and forestock were both cut back drastically and given a custom look. "Suprema" was a name invented by the firm marketing these sporters in North America. 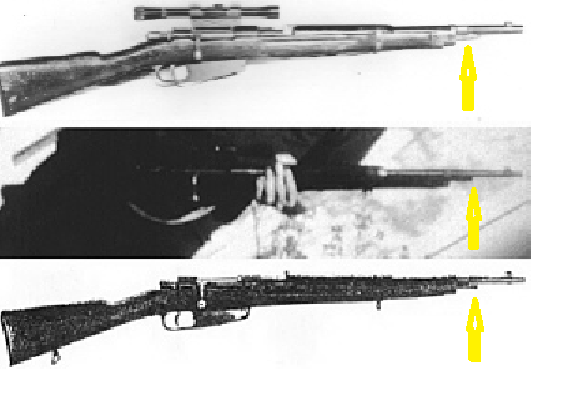 Cutting back the long barrel of the M91 long rifle was a horrible mistake, and contributed greatly to the Carcano's reputation as an inaccurate rifle. The rifling grooves in the M91 were what is known as "progressive" or "gain" twist. This means that, instead of a standard twist from one end of the barrel to the other, the M91 riflings started out at a gentle 1:19 twist (one complete turn in 19 inches) and got progressively tighter, achieving a 1:8 twist at the muzzle. As the relatively heavy (162 grains) Carcano bullet needed the tight 1:8 twist to gyroscopically stabilize it in flight, cutting the M91 barrel short would remove the tightest section of the riflings and the barrel would be unable to stabilize this bullet, robbing it of accuracy. While it was standard for the M91/38 (backyard photo rifle) to have side mounted sling mounts, records show that, possibly due to a shortage of parts, about 10% of M91/38's are fitted with bottom mounted sling mounts on the forestock, as clearly seen in the backyard photo. 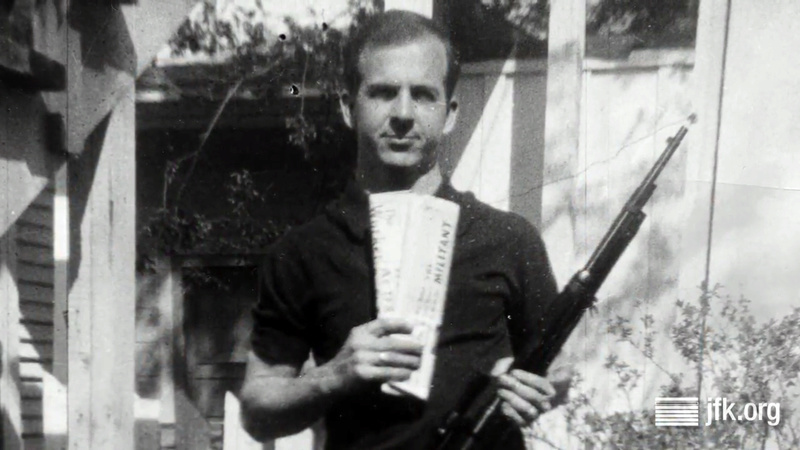 The one photo Marina initially said she took was actually taken in Minsk with Oswald holding his shotgun. It was inscribed to his newborn baby, June. This photo was used to create the fakes. 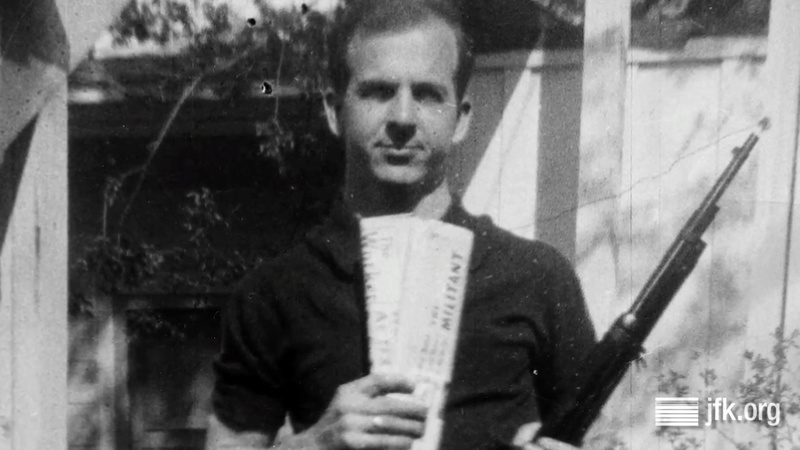 greg parker wrote: The one photo Marina initially said she took was actually taken in Minsk with Oswald holding his shotgun. It was inscribed to his newborn baby, June. In The Coverup, book by Danish writer Tommy Østerlund written in 1992 one of his russian friend claims that they were hunting with shotguns for birds and other small animals, LHO was such a lousy shot that they did not believe that he could be the assasin. No proof, but there is evidence. Sorry, but don't have time right now to go into it. Nothing to do with examination of the photos themselves though. The starting point is reading sylva meagher on the subject.